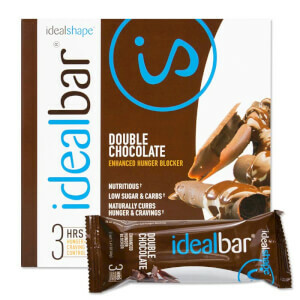 What Is IdealBar Chocolate Peanut Butter? 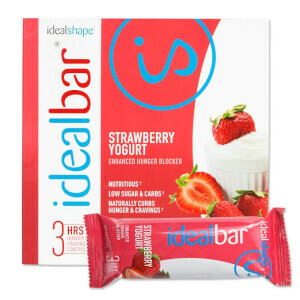 IdealBar is our range of convenient meal replacement bars that are perfect for anyone trying to lose weight by lowering their daily calorie intake. The Chocolate Peanut Butter bar has a smooth, sweet flavour with just 7 grams of sugar and 140 calories! What Is In A Meal Replacement Bar? 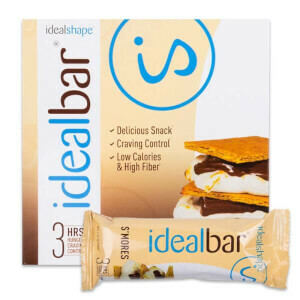 Idealbars provide you with a perfect balance of nutrients and flavours you love. With 10 grams of protein and 20% of your recommended daily intake of 24 vitamins and minerals, this bar has the nutrients your body needs for energy to make it through the day. IdealShape meal replacement bars also contain a special hunger-blocker, Slendesta, which helps to keep you full for up to 3 hours. 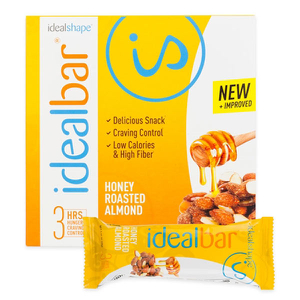 How To Use Ideal Peanut Butter Bar? By replacing a meal with the filling, high protein Chocolate Peanut Butter bar you can lose weight while getting all the nutrients you need and without going hungry! I enjoyed these bars! The taste and texture is excellent. Satisfies hunger for a couple hours. Deffinetly try it if you like peanut butter and chocolate. I don't find these bars to be overly sweet either.